Lion Brand Feels Like Butta Yarn - Lemon - Lion Brand-Feels Like Butta Yarn. 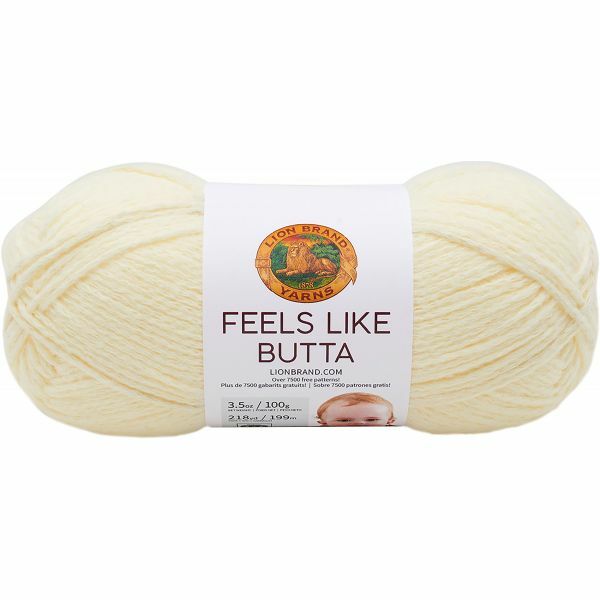 Now touch this yarn and you will be saying This Feels Like Butta. It has the velvety touch of chenille wthout chenille's challenges. So soft, we created a pastel palette for for babies as well as a fashion palette for adult garments and accessories that can be worn close to the skin. Content: 100% polyester. Putup: 3.5oz/100gr, 218yd/199m. Gauge: 18sx26r = 4in/10cm on size US7/4.5mm knitting needles. Suggested crochet hook size USG/4mm. Dyelotted; we try but are not always able to match dye lots. Care: machine wash and dry. Comes in a variety of colors. Each sold separately. Imported.